Download Greeting Card Mockup Free PSD. Do you want to send your invitation to your friend and family in a unique way? 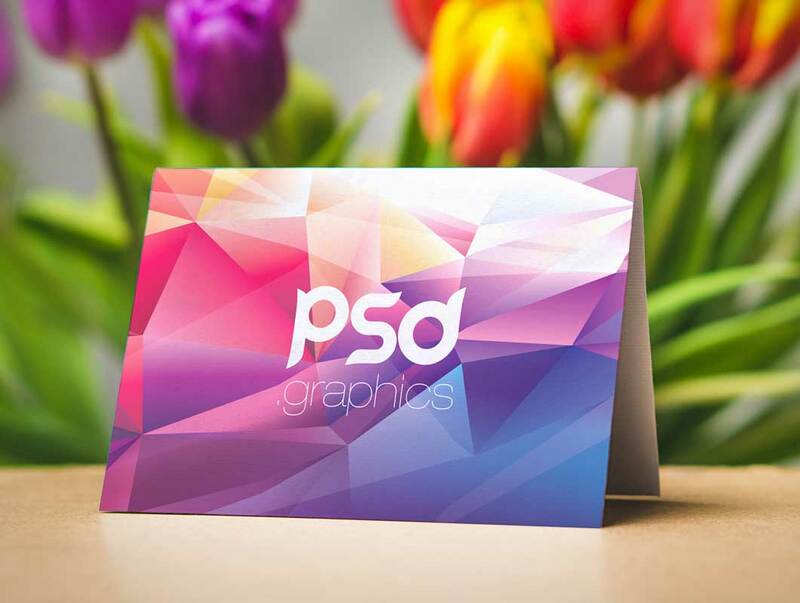 Than this Photorealistic Greeting card Mockup is perfect for showing off your greeting card design, e-cards, banners, invitations etc in a beautiful way. You can also use this Greeting Card Mockup Free PSD even for social media headers and cover as well. This Free Greeting Card Mockup is based on smart objects so that you can replace your design easily. Just open the Smart Object Layer, paste in your own greeting card design and click save and you are done.